Copyright registration exists for the sole purpose of keeping records of copyrighted works or materials. The proper registering of a copyright is not necessary in the actual ownership of a copyright. 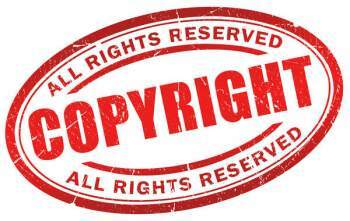 Copyright is an inherent international right for an individual as provided under the Berne Convention Implementation Act of 1988, as well as the Copyright Act of 1790 under United States legislation. Though copyright registration is not necessary or required for securing a copyright, it is strongly recommended for published or commercially-distributed works, for it protects the copyright owner from infringement violations. 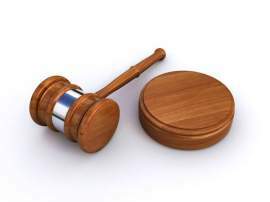 Under law, it is necessary for a published work to be registered in order be eligible or able to file a lawsuit concerning copyright infringement. 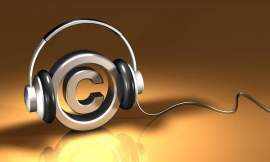 Copyrights can be registered by filing an application with the United States Copyright Office. The application itself has its proper requirements regarding the necessary materials and information regarding the work or material being submitted for registration. Copyright deposit is the mandatory legal requirement of the actual submission of copies of actual works or materials that are being considered for copyright registration. Copyright deposit is part of the copyright registration process and is legally required in order to verify that the works or materials are eligible to be copyrighted. 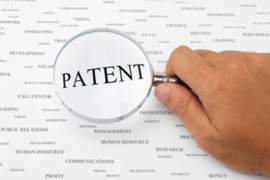 The copyright process itself may prove to be challenging for it provides for different guidelines depending on the context or nature of the work being submitted for review and eventual registration. Because copyright registration is not necessary to obtain a copyright, it also directly applies to copyright deposit, for it only is necessary for the registration process. 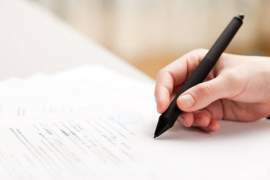 Individuals that have the intention of publishing or commercially distributing their works are required to register and deposit the appropriate copies as part of the process. In certain cases, the United States Copyright Office may make exemptions regarding the materials that are required to be deposited. An example would be an individual seeking the copyright of a limited edition sculpture, where the deposit of a copy would prove to be a burden if only a single copy exists and is considered a valuable piece of art, thus making it unfair for the artists to be mandated to make a deposit. In such a case, the copyright office may simply ask for visual proof, such as photographs, for the registration process. Preregistration is a relatively new process instituted by the United States Copyright Office that is meant to further protect individuals from copyright infringement. The preregistration option exists for those works that are currently under production or have begun produced and are unfinished, with the intention of publication or commercial distribution or availability of said work. Preregistration allows for the work to be protected as it is completed, for under regulation provision of copyright law a work must be first published and registered to allow for a proper copyright infringement lawsuit to be filed. Preregistration is offered to those who seek to register certain types of works such as motion pictures, music recordings and compositions, sound recordings, computer programs, video games, and literary works to be published in book form. Preregistration is not necessary and does not replace the original copyright registration progress. It only exists for further protection and consideration of the owner of the copyright and the work itself, and if preregistered, must undertake the regular registration process once the work is completed and published as mandated by copyright law. The copyright application is provided by the United States Copyright Office and is necessary to be completed in order to begin the copyright registration process. 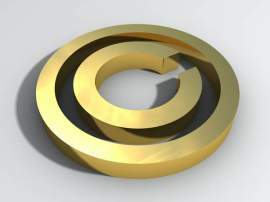 Copyright applications are available through the Copyright Office's website in various forms. The Copyright Office strongly encourages and recommends application through the eCO, or Electronic Copyright Office, which provides for an electronic application. The eCO application allows for the copyright application and registration process to be more efficient and is simpler and more cost effective for the person submitting the application. However, because of the nature of the copyright registration process, only certain types of works or materials are eligible for the eCO application. Some may choose the electronic option, but must also print out a Shipping Slip so they can submit copies of their work that cannot be processed or submitted online. Paper applications are also available online as well. An individual may fill out the form on screen and print it out in its completed form to be submitted with the proper copies of the works being considered for copyright registration. The copyright registration process can be a slightly tedious process, depending on the option employed by an individual seeking to register a work or type of material. The United States Copyright offers both online and paper methods for the application process to be considered for the person's convenience and preference, as well as to meet the certain requirements imposed by the Copyright Office and registration process. Only certain types of materials or works can be considered eligible for an online application. However, the paper applications are available to be printed out on the Copyright Office's website as well. For certain types of works, the application can be completed and submitted electronically, and the actual submission the work's copies can be shipped to the Copyright Office via mail separately. The paper application process will naturally take longer than the electronic version and also prove to be less cost effective. However, depending on the nature of the work or material being registered, it may prove to be the only viable option. An individual must then obtain the proper application form, which is categorized depending on the nature of the work. The application processes all institute a filing fee that must be submitted with the application form, regardless of which method is employed, electronic or traditional paper.